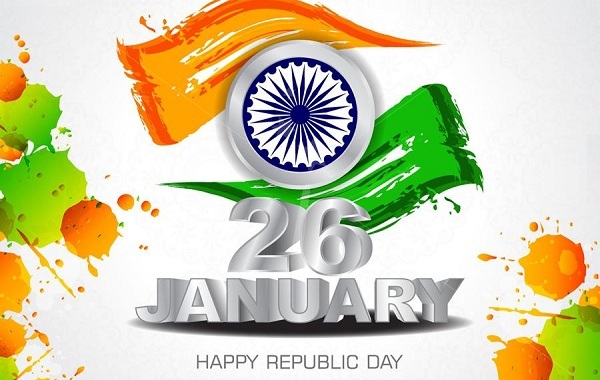 Home › Announcements › Happy 70th Republic Day! We all are proud of our nation on what it has provided to us. We have to be eternally thankful to our Mother India and defend her at all cost. India is going through a very very interesting phase now. Economy is growing in a fast track. World is watching us closely and wondering how we are able to bring and sustain growth like this. Thanks to our leadership to make this happen. While these growth are absolutely something we must feel proud of, we should be extraordinarily vigilant about anti-social, anti-Hindu elements that attempt to thwart our spiritual integrity. With election coming up in few months, the huge responsibility is on the citizens of India to carefully choose the next leader who is a true caretaker of the nation and a friend of all religions. We are truly blessed by all mahans of India to send Sri Modiji as our leader to drive the nation to greater heights. Let us all join hands to drive the anti-socials out by re-electing him in March! 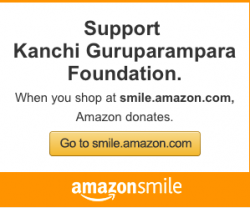 ‹ Periyava Quiz – Dedicated To? This is the place to convey the messages and blessings of Shri Kanchi Maha Periava and not the forum to discuss the political matters. 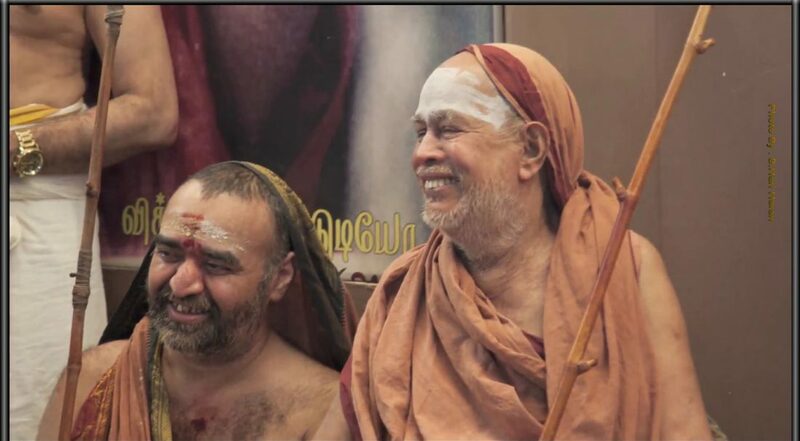 +Venkataraman N. True sir, but Mahaperiyava himself has spoken extensively on these subjects. 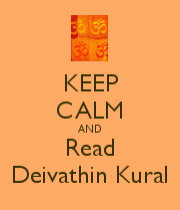 Please see the section titled “அரசு” in volume 7 of Deivattin Kural. These things he spoke first in 1947 but they were suppressed by political interests. Mahaperiyava spoke before the Constitution was drafted and we became a Republic, but everything that he said should not happen has happened! It is easy to be carried away by emotional outbursts on such occasions, but we should think calmly. What is this republic day? It is the day on which we became a republic and gave ourselves a Constitution.. It is not as great a day as Independence Day. Then, what is in this Constitution? This Constitution was borrowed from many sources, not one of which is from India. The only thing that is really Indian in this constitution is the word Bharat as the name of India. And this word was included by Dr.Ambedkar. All those who drafted the Constitution were Anglophiles, and they were not freedom fighters except two, and none of them tried to follow any of the ideas of Gandhiji. This Constitution carries on the work of de-Indianisation begun by the British. During the Emergency, Indira Gandhi made many drastic amendments to the Constitution, which makes India a Secular country. Hindus have today no country of their own! Does such a Constitution call for celebration? And let us not forget,: Republic Day is the day on which Hindi imperialism was imposed on non-Hindi speaking people! And what is so special about Modi? He was one person before becoming PM and is totally another after becoming PM. Has he protected the interests of Hindus or Hinduism in any way? Did he support Ghar Wapsi? Did he support Cow protection or beef ban or trafficking in cows? Did he support Ayodhya? Did he visit Ayodhya even once after becoming PM? Has he said anything about the anti-Hindu judgement on Sabarimalai? Has he done anything to free Hindu temples from government control? In every respect and on every issue, Modi is behaving like any other (pseudo) secular politician, pursuing vote bank politics. Independence= Swatantra = Swatan+tra ” freedom for the Self (body). But after becoming formally Independent of British rule, this Indian (in name) Constitution has made us greater slaves of foreign systems of governance, without any element of India’s own genius. Our economy is also losing its true independence. The situation calls for serious reflection. With due respect of you and this pious blog, I would like to share a few points. You said, “This Constitution was borrowed from many sources” – Yes sir we did. So, what went wrong? Even anything went wrong, what Congress and other parties who ruled this country were doing? Where were you Sir (I believe you must be a senior citizen) to raise your voice against the constitution? Had you ever approached the Govt to change the laws that suitable to this soil? You also said, “Republic Day is the day on which Hindi imperialism was imposed on non-Hindi speaking people!” – To bring uniformity in among people of this country in language, you call it imperialism? What do you say when the uniform civil code would be implemented in this country? Imperialism or dictatorship? Is it not for better communication among citizens, be it a personal relationship, be it business transactions? Don’t you think that you are recreating vengeance between Hindi speaking people and non-Hindi speaking people by writing like this? You lined-up, “Ghar wapsi, Ban on beef, Supporting Ayodhya issue and visiting there, commenting against Sabarimala issue, etc. By addressing all these will solve the problems of India? We were so patient for 60 years for all the atrocities but won’t give even for 5-10 years term to a ‘Working PM’? You also said, “And what is so special about Modi?” – Yes, there is nothing special about this noble person. He is as an ordinary person as you and me Sir. He does not expect you to appreciate him for his work but will keep doing the work that are for the betterment of this country. We don’t deserve a person like you. The major portion of the country’s population is not valuing your work. You work for more than 16 hours a day. Sacrificing your sleep for the betterment of this country. But you will never receive appreciation for the same. You will still be blamed for small silly issues. These people can handover the nation to one family for 60 years but won’t give you 5 peaceful years to work. The reason being, this country is full of fake pseudo-intellectuals, hungry and lazy humans. They might not able to run their small family of 4 people. But will definitely advise you on how you should run this nation. Waah! People are dying to take revenge from you as if you have done the world’s most dangerous crime of becoming our Prime Minister. They are just not able to accept the fact that our country is empowering itself. The country is progressing in every way. No. They don’t want all this. All they want is Toor Daal @ 1/- per kg and onions for free. Trust me, try doing this and see where you reach! They are accustomed to the corruption in this country and they can’t digest the slow and positive change the country is going through. I’m saddened but sure. We might not see you in 2019 because they will elect some Pappu to run this country who apparently cannot run for a marathon! People can become slaves of the person who provides Daal chawal and potatoes for free. And we get to know this from our history. Nobody wants to change.. But everyone wants a change. People having smartphones in hand with 4G packages. Talk about the so called ” badhti mehangayi”! Like seriously? They use a 299 recharge for a 4G plan.. And they are affected by the increase in the price of Toor daal? Like really? Sir, you have been stated in the top 10 powerful personalities of the world. But it just doesn’t matter to them. Majority of people are deaf and blind. You should be relaxing at this age. And enjoying life. Your hard work. Commitment and dedication have no value here. 1.There is nothing wrong in borrowing, provided it is in accordance with our own tradition. You borrow from the whole world- but is there no valuable ideal from India itself? They borrowed from the whole world. but ditched and discarded valuable insights from India’d own civilization.. That is the point. 2.So much has been written on Hindi imperialism over the last 60 years.If language alone can bring unity among people, then why did Telugu speaking people fight for separate Telengana? After all, Andhra was the first linguistic state ! And it got divided, in spite of speaking the same language. Where is the unity? What a shame! Please understand one thing. India is a land of many NATIONAL languages. Before Independence. Hindu religion united India. During the Independence movement. English united educated Indians. Historically Sanskrit has united all educated Indians. This Constitution disrupted the historical emotional unity of Hindu India. Hindi is not one language- it is an artificially created political animal. created out of many dialects- Tulsidas Ramayana is not in Hindi, Mirabai did not sing in Hindi. The official Hindi monster is killing the rich native languages of India like Maithili, Braj Bhasa, Awadi, etc. ( Ask the people speaking those tongues ). Languages like Rajasthani are included in Hindi for political purposes. Non-Hindi speaking people are in majority, and when minority language is imposed on them by political power, that is Imperialism. Even Dr.Ambedkar said that Sanskrit should the official language of India! 3.This Constitution has reduced the Hindu majority to a status lower than the so called minorities. Hindus today have to plead for the same rights as minorities! This Constitution is basically anti-Hindu. Please read the Section titled ” அரசு ” ie Government or Governance in volume 7 of Deivattin Kural for what Mahaperiyava has said on these matters and ascertain for yourself how far this Constitution abuses and violates Hindus. 4.As for how this Constitution was cunningly drafted , neglecting every principle that guided our national Independence movement. please read volume IV of Dharampal’s Collected writings..
5. Just one instance is enough to measure and understand Modi. Before elections, he opposed Aadhar. After becoming PM, he became a fanatical advocate of it. And he did not offer any explanation or apology. That is the nature of the ,man. He is in power politics, not to promote Hindu interests. What about Art..370? He is like other pseudo-secular politicians. 6.Modi is busy promoting his secular image and credentials, by harping on the theme of development. But his idea of ‘development” is based on 19th century Western economics. These ideas will not work in India because unlike the West, India has huge population. For instance, to keep its standard, the US with 5% of the world population requires 35% of the world’s resources, This is not sustainable even for the US, and is certainly idiotic in the context of India with a population of 120 crores. And it will bring disaster. Just one example: Modi wants to build 100 airports in the name of development. Each airport requires 500 to 1000 acres of land. Most of this land is agricultural.Which means India will be loosing 1,00,000 acres of prime agricultural land ? Do you know the productivity of agriculture depends on the top soil and it takes 50 to 250 years to build up 1 inch of top soil? Do you then realise what sort of damage this one measure will bring to the country? Modi’s colleagues are busy destroying forests and trees in every part of India in the name of development. This is a model which the so called developed countries themselves are discarding, but our blotting paper Modi will catch it ! Modi is no doubt attempting some changes but these are cosmetic ;, but he is inflicting real. long term damage. Just read a book like “DOUGHNUT ECONOMICS” by kate Raworth and you will realise that Modi with his development model is building for disaster, just like Nehru did in his day! Serious students of the subject are not dazzled or distracted by Modi’s claims. We certainly do not blame Modi for small, silly issues. I think I may stop here and need not mention personal factors. I don’t want to turn this post into a political debate. I will say couple of things : (1) in any nation, no matter which religion or a party the Leader belongs, do not change him when the nation is undergoing a massive transformation on the growth side. Example – here, Americans re-elected George Bush just because the country was going through post 9-11 recovery (2) we define Modiji’s success by rating him against Ayodhya, beef ban, temple etc. however as a leader he has a much much broader KPIs for growth around infrastructure, health, violence etc. in such times, often certain priorities get backseat…Not that they aren’t important. Anyway, people have to be wiser and not distracted. Besides he isn’t perfect…He might have moved few coins wrongly too..If we have a true matching opponent (I haven’t heard one name from opposite sides) we should vote for him. In fact that’s what Modiji also says. Very correctly said Mahesh Garu! If not Modi next time, India’s growth path laid by this great man will be vandalised by selfish politicians of other parties. Beware India! Choose the leader patriotically.